Ava is like any other 7-year-old. She likes to talk and laugh with her friends, is obsessed with dogs and loves being active. Ava is also deaf - and she's proud of it. She loves her Deaf community, that she's bilingual, and that she experiences the world differently from hearing people. 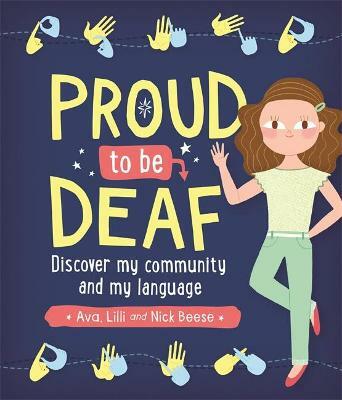 In this book, Ava introduces her hearing peers to her daily life, the way technology helps her navigate the world and explains common misconceptions about deaf people. She talks about her experiences at school making friends with hearing children, and teaches readers the BSL alphabet and basic BSL phrases. Featuring photos of Ava, her friends and family throughout, plus illustrations of hand signs. Lilli Beese (Author) Ava Beese is seven years old. When she was two, her dad Nick posted a YouTube video of her signing with her mum over dinner. It went viral, was watched almost 1.5 million times, and was picked up by BBC News. The videos her family still post of their BSL dinner chats continue to receive tens of thousands of hits. 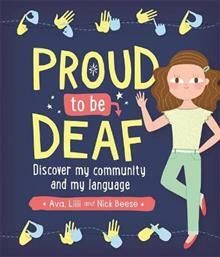 Ava's mum, Lilli Beese, is a BSL interpreter, television presenter and trainee psychologist. Ava's dad, Nick Beese, is a designer and former captain of Great Britain's deaf football team. Together, Nick and Lilli founded support group Deaf Parents Deaf Children. They regularly campaign on deaf issues.